The Bond family is knitted together by a team of hardworking professionals who have committed their lives to filmmaking. EON develops relationships such that it can rely on talent time and time again and has a knack for nurturing young filmmakers to fruition. A perfect example is lifelong special effects professional Chris Corbould, who started on the films aged eighteen. Today he reflects on his life with Bond, from 1977’s 'The Spy Who Loved Me' to last year's 'SPECTRE'. 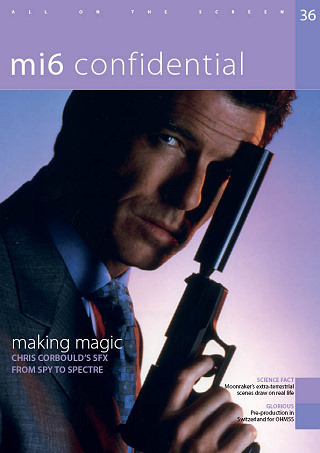 This issue of MI6 Confidential also takes a look at the science behind 'Moonraker' and the logistics behind renovating and shooting at the stunning Piz Gloria.